Vietnamese spring rolls (£6) were filled with a combination of pork and mushrooms but weren’t entirely successful as the pastry was too thick. More filling and less pastry would have worked better. 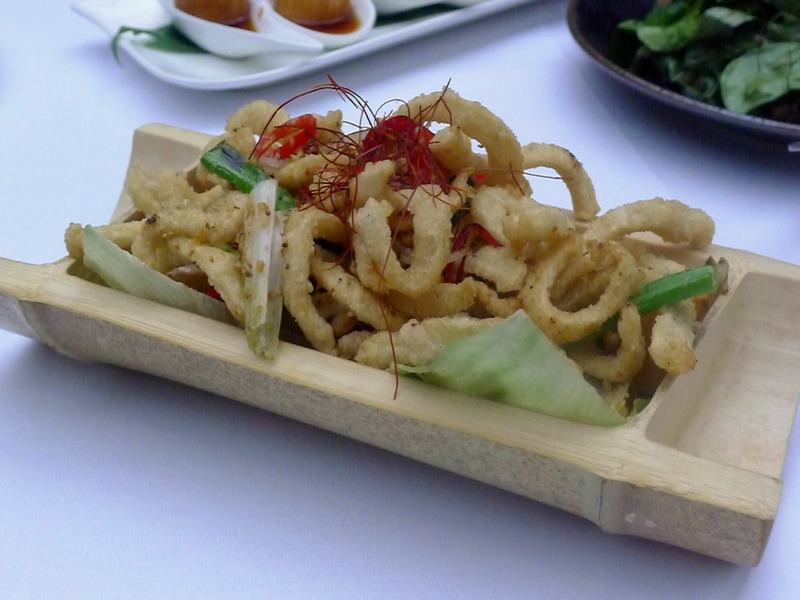 The squid in another starter of crispy salt and chilli squid (£7.50) had been cut too thin. A thicker cut would have worked better as it would have produced a meatier, more substantial result. A touch more salt was also needed, but otherwise the batter was crispy and the squid tender. There were some lovely flavours in a duck and watermelon salad (£8.50). The duck was nicely cooked and the fish sauce dressing was well balanced between sweetness and acidity. The watermelon didn’t hold much flavour however, and it added little to the salad. We would have also preferred leaves that were slightly less bruised, but otherwise this was a very enjoyable dish. 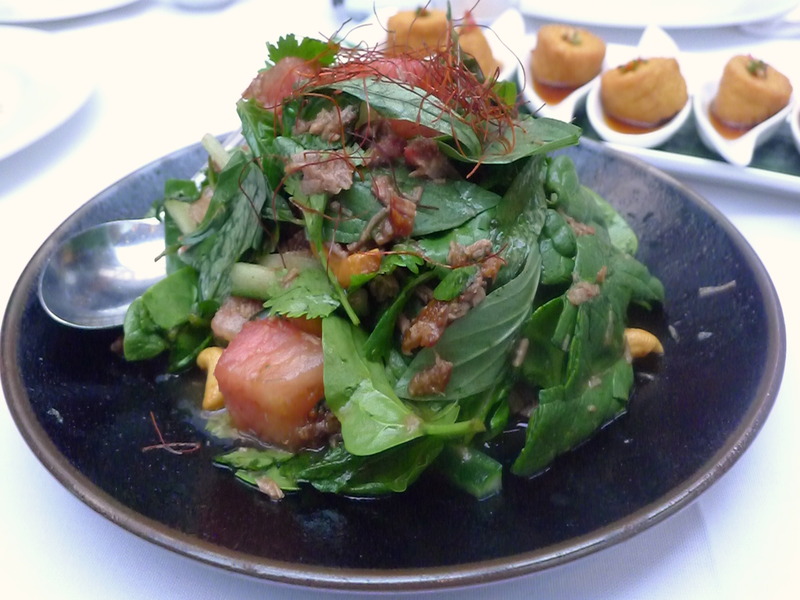 The use of Thai basil was also a very nice addition. The Canton style lobster noodles (£29.90) require 24 hours-notice and consisted of a whole lobster braised with ginger and spring onions on fresh egg noodles. The flavour of the sauce was very good and reasonably authentic, but there was not enough of it. 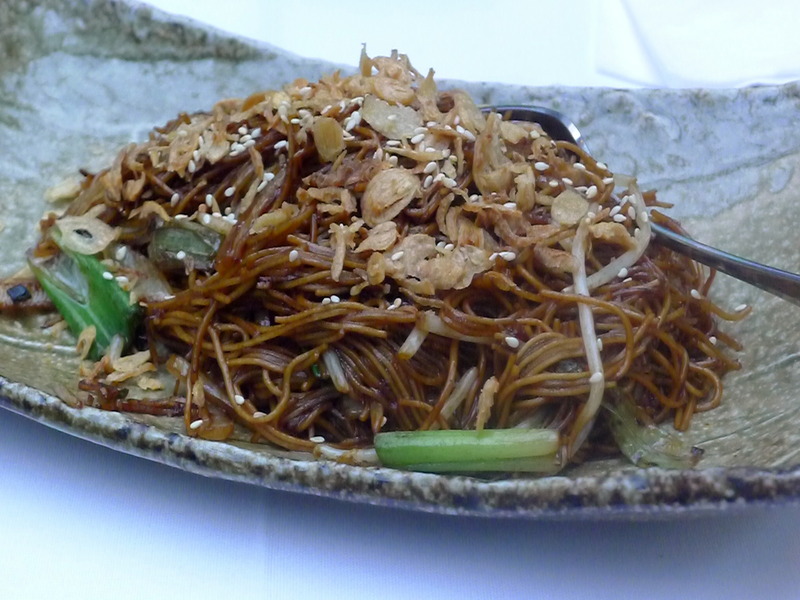 A dish like this needs more sauce so that the noodles can be fully smothered to enrich its flavour. 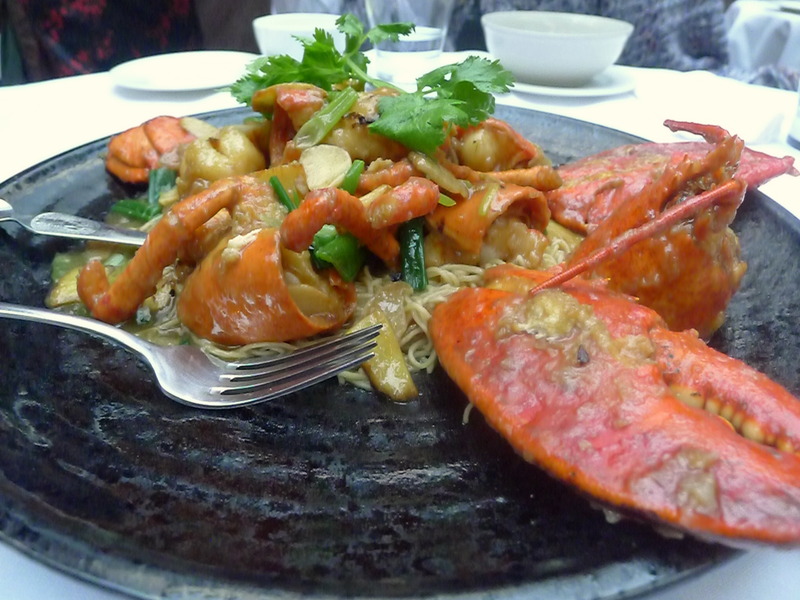 That said, it was a very tasty dish with the lobster being very well cooked, moist and flavoursome, irrespective of the fact that the noodles were a little overdone and too soft. 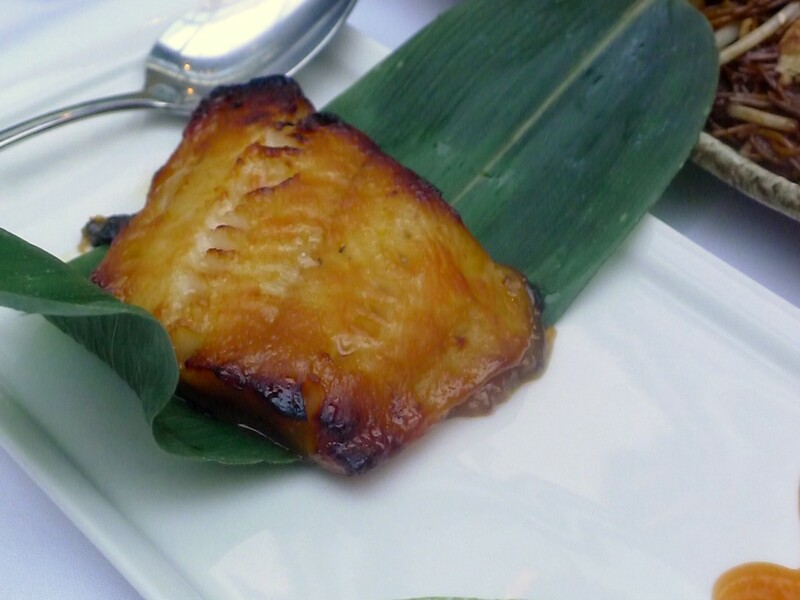 A ‘Naga’ black cod (£19.50) with a sweet miso was nicely cooked and still moist. The fish was really tasty but more sauce would have further enhanced the dish. 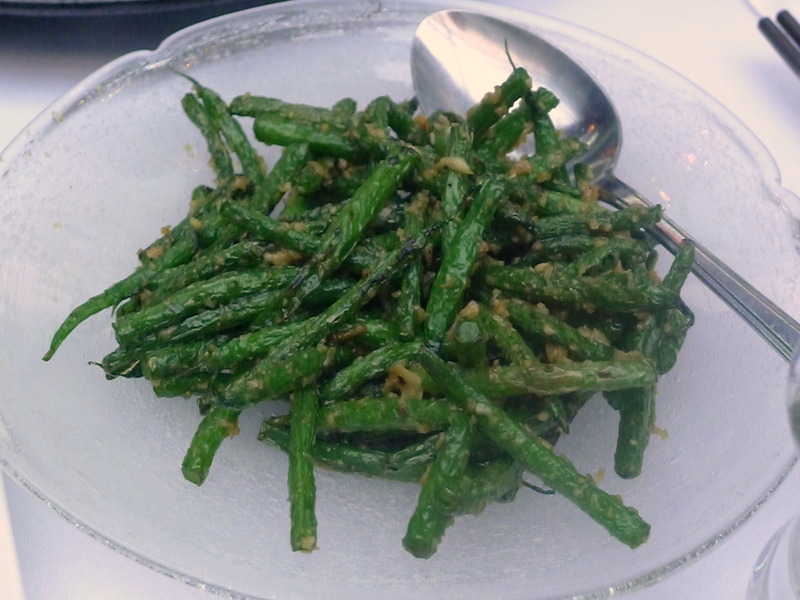 Garlic French beans (£7.50) were very good. First roasted and then wok-fried, they were crunchy and oozed with garlic flavour. The beans were also well seasoned. 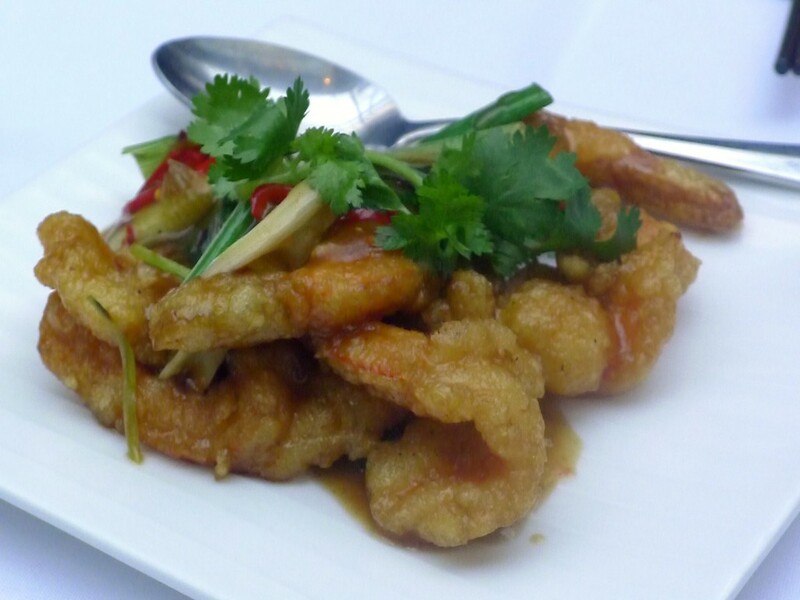 I wasn’t enamoured with the tamarind king prawns with lemongrass (£12.90. The prawns had been butterflied before being battered and so were quite thin. 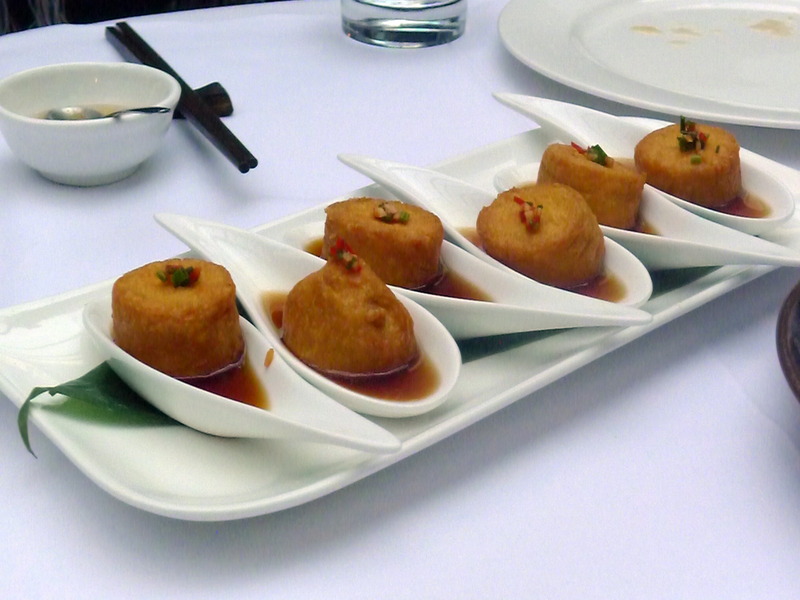 As a result there was too much batter to the ratio of prawn, creating an effect where the prawn flavour was hidden away. The prawns served whole would have provided more substance and would have therefore worked better in the dish. The sauce was nice. 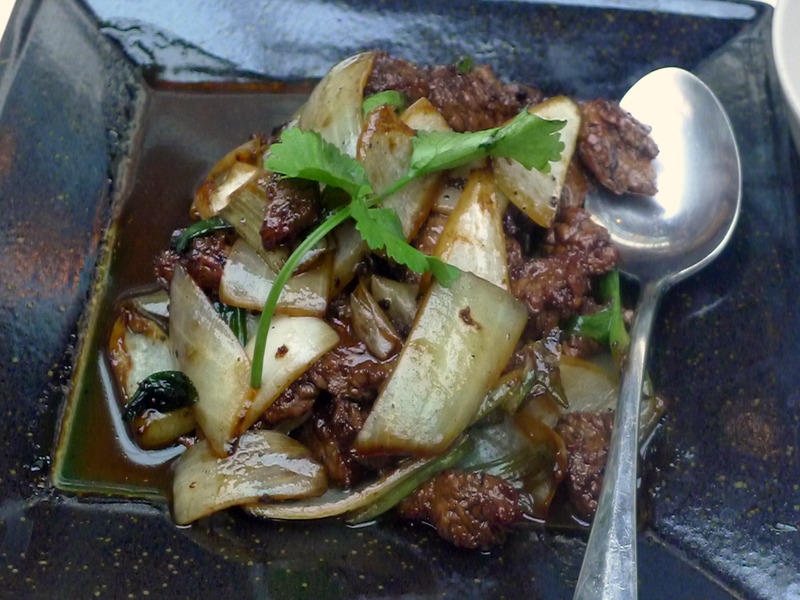 Beef fillets flash fried with scallions (£14.50) were just a little burnt which was a shame as there was a promise of a good dish. Singapore vermicelli noodles (£9.50) were nicely flavoured and very tasty, moreish in fact. There was the right amount of seasoning and the noodles were neither too oily nor too dry. On the whole the food at Naga was very good. Not everything was quite on the money but there were some good flavours coming through most of the dishes. Naga claim to not use any MSG in their cooking and this was quite evident since we didn’t get the salty dry mouth at the end our meal, the kind you normally get from a meal heavy with MSG. I would go to Naga again. I dined with fellow bloggers Greedy Gourmet, Cook Sister and Coffee and Vanilla. Prices: About £20 to £45 per head, excluding drinks and service. 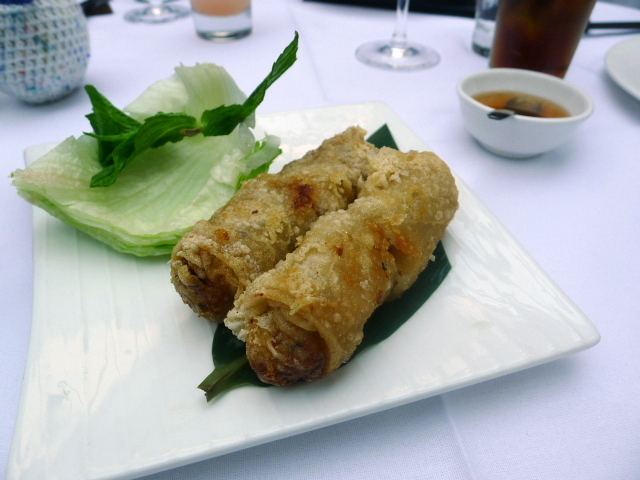 As typical of Oriental cuisine, the food is for sharing. a girl needs her sauce!!! Thanks Michelle, hope to see you soon!